Indications: Increased energy and focus. Weight loss. 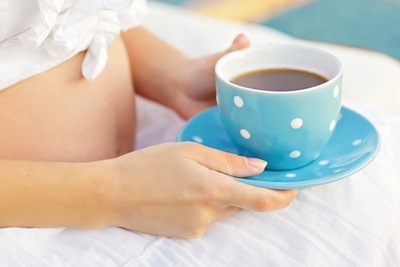 Summary Recommendations: Caffeine is considered safe for use during pregnancy – though current medical studies debate on the total amount pregnant women should consume. Caffeine affects the heart, kidneys, liver and other internal organs and should not be consumed without medical approval if conditions affecting these organs exist. Caffeine is often sourced from herbal ingredients, including guarana, theobromine and yohimbine. Before taking an herbal or natural supplement, check the ingredient list for a possible caffeine source. Caffeine can also be found in chocolate, sodas and over the counter pain medications. General Precautions: Caffeine is most often taken to fight mild to moderate fatigue. Studies recommended consuming no more than 300 mg of caffeine from all sources in a 24-hour period. Caffeine remains in the body for a total of 12 hours, but peak effect is reached within one hour of intake. Caffeine stays in your bloodstream for up to six hours. Effect While Trying to Conceive: There is no known connection between male fertility and caffeine intake, but there are a few studies that suggest women may reduce fertility by consuming excessive amounts of caffeine. An excessive amount of caffeine is defined as consuming more than 300 mg in 24 hours. Consuming less than 300 mg in 24 hours does not appear to have an effect o female fertility. Effects on Pregnancy: The effects of caffeine intake on pregnancy are debated. Some studies suggest consuming more than 300 mg per day increases the risk of miscarriage, especially if caffeine intake is paired with tobacco and/or alcohol consumption. Consuming in excess of 800 mg of caffeine per day without intake of tobacco or alcohol may also increase the risk of miscarriage. Caffeine crosses into the placenta, so pregnant women should be aware of the possible impact on the fetus. Studies have shown women who consume more than 500 mg of caffeine per day may give birth to infants with increased heart rate, increased breath rate and tremors. The effect lasts some time after birth. Safe During Breastfeeding: Caffeine intake is safe during pregnancy, but only in moderation. Caffeine is passed to the infant in breastmilk. Irritability and difficulty sleeping could be signs that the infant is exposed to too much caffeine.